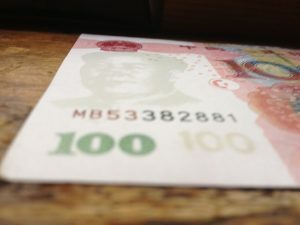 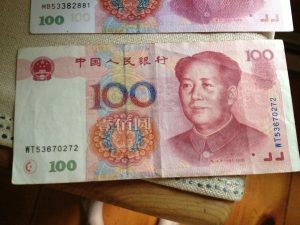 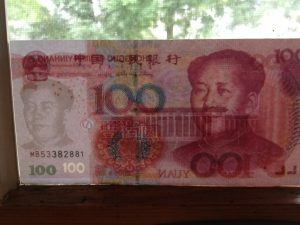 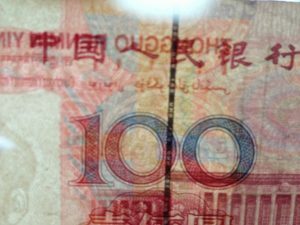 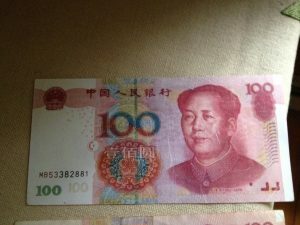 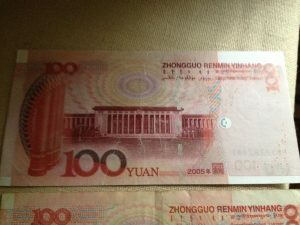 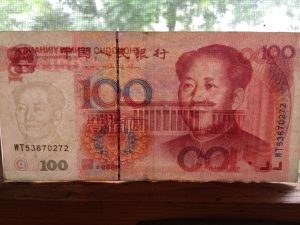 There are likely many types of counterfeit 100 yuan notes. There are, however, a few things to look for that should give you an idea of what to look for on a legitimate bank note. 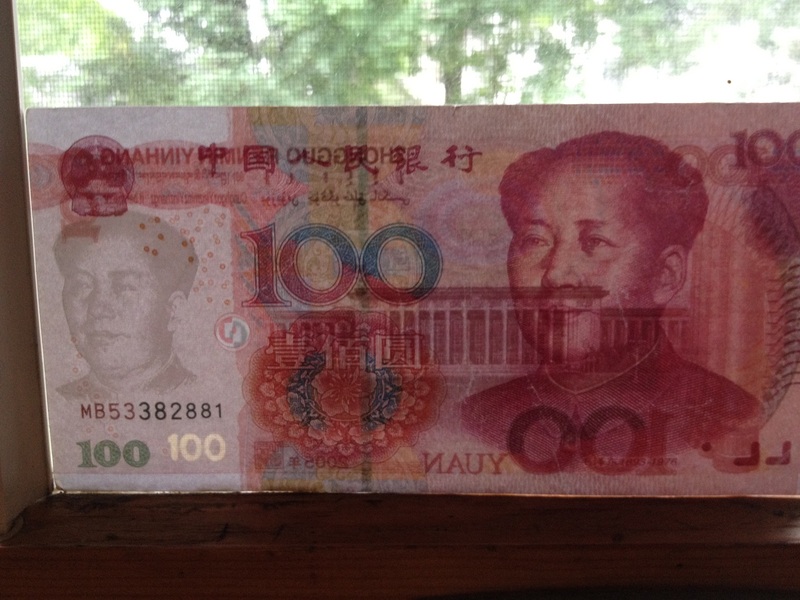 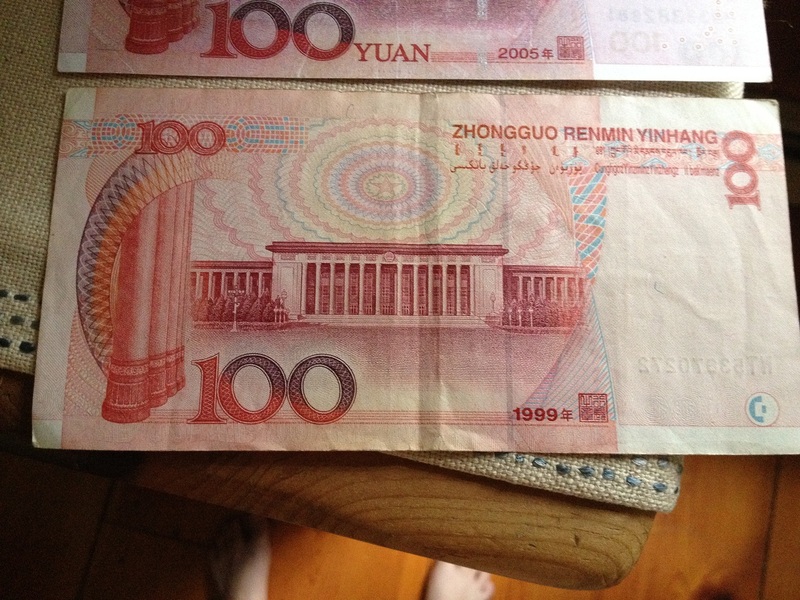 First, let me start with pictures of the front and back of a legitimate 100 yuan bill. 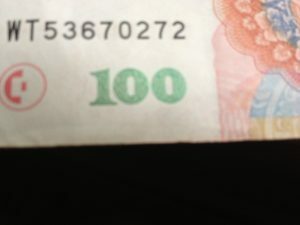 The red half-circle in the left hand corner, when held up to the light, lines up with its blue counterpart on the back of the bill in the lower right-hand corner. 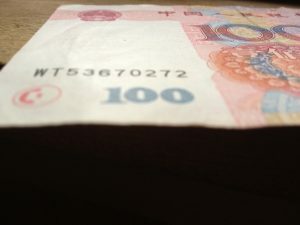 Note the placement of the blue half circle in the lower right hand corner. 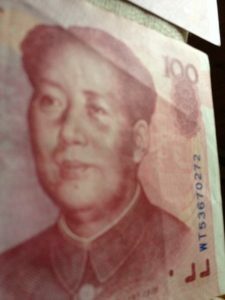 When held up to the light, this will line up perfectly with its red counterpart in the lower left hand corner on the front of the bill. 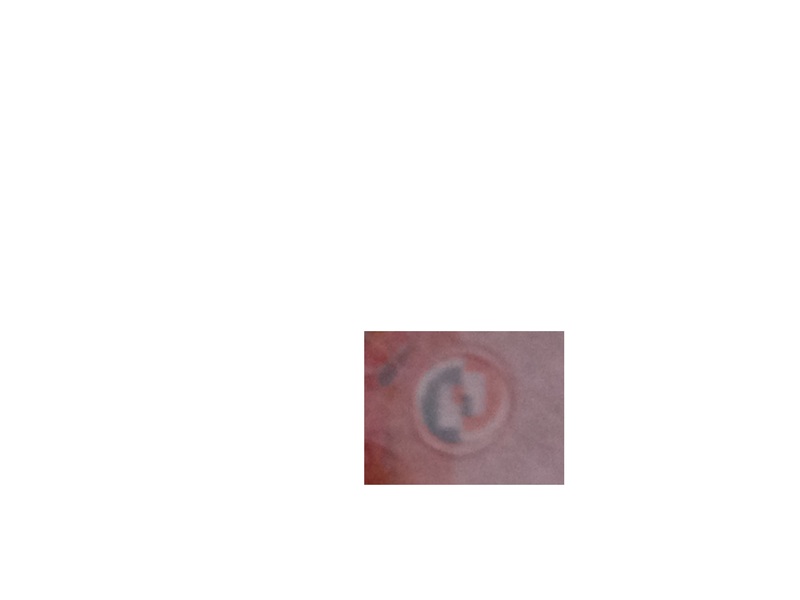 When held up to the light, this makes a complete circle with a small square inside it. the halves do not line up. 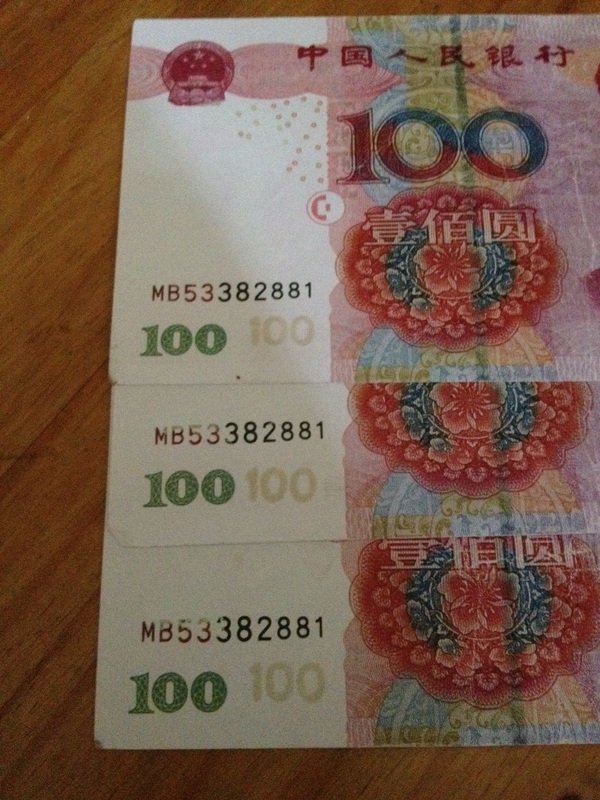 The denomination watermark on these counterfeit bills are visible without holding it up to the light. This 100 to the right of the green one would not be visible on legal currency. 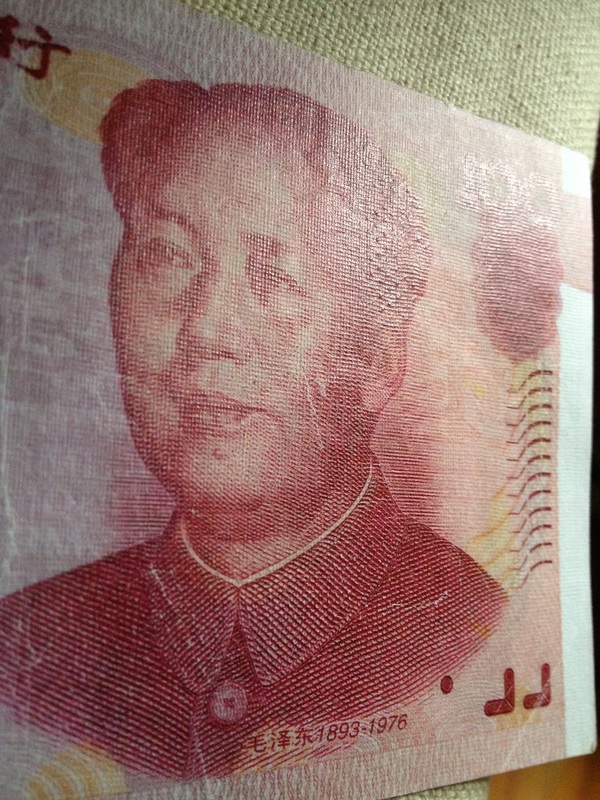 The texture on the counterfeit bills are very coarse, having been more recently printed. 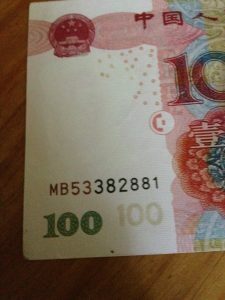 A legitimate bill will have been worn smooth. 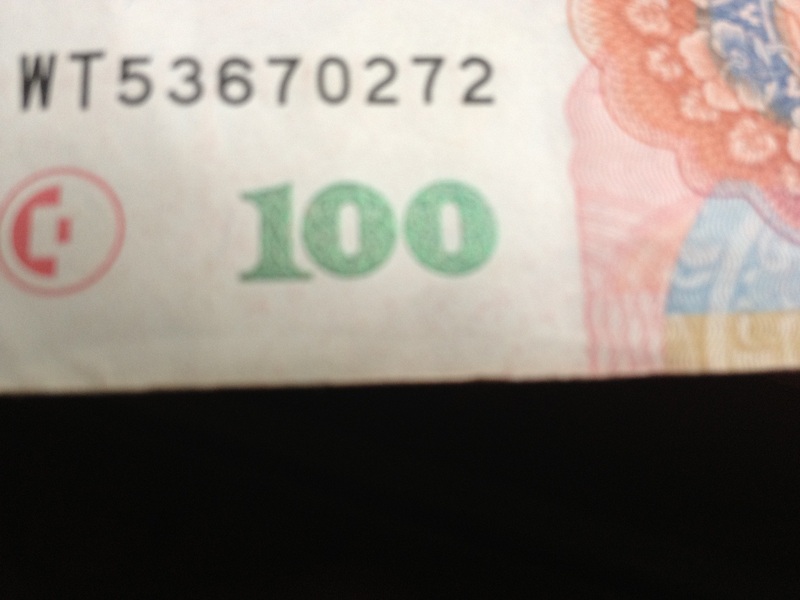 If you hold a legitimate bill up to the light, you will see a solid line running down the center. If you look closely, you’ll see RMB (standing for renminbi, the name of the currency). 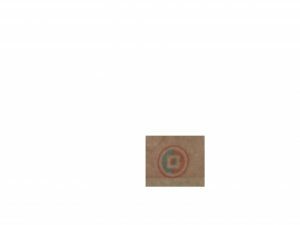 If you see these two things, you are in possession of legal currency. The counterfeit I have does not have a dark line down the center, nor the RMB printed in it. 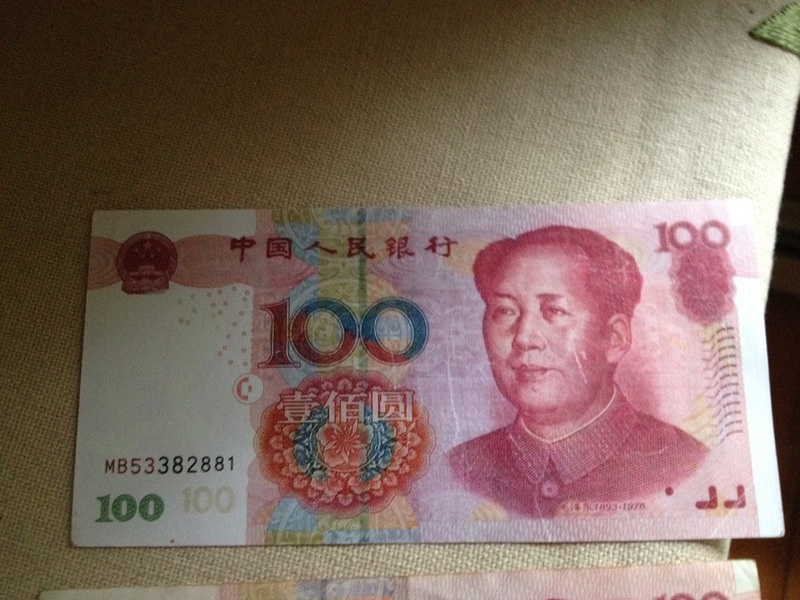 The denomination should change color. On real currency, the 100 changes from green to blue. 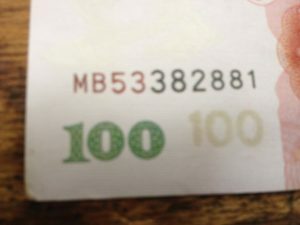 On the fake currency, the number stayed green. As I said before, I am sure that there are a lot of different kinds of counterfeit bills. However, I hope that any one of these details can help someone to spot a fake bill, should they ever encounter one.